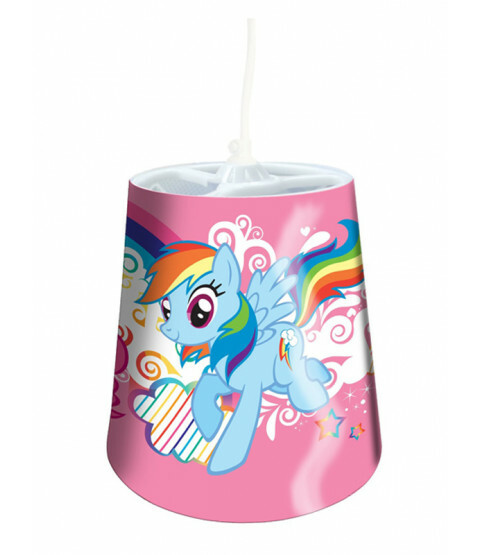 This My Little Pony Tapered Ceiling Light Shade makes the perfect addition to any Pony themed bedroom. The circular shaped ceiling shade is easy to fit with its patented ‘easy hang’ system for simple installation, you don't even need to remove the light bulb. 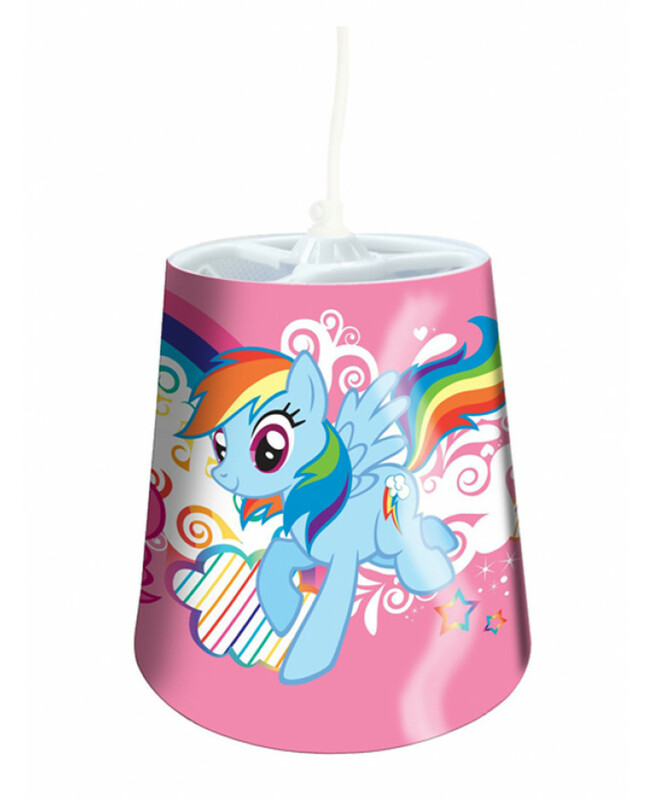 The colourful design features ponies Pinkie Pie, Rainbow Dash and Twilight Sparkle on a pretty pink background of rainbows, hearts and stars.